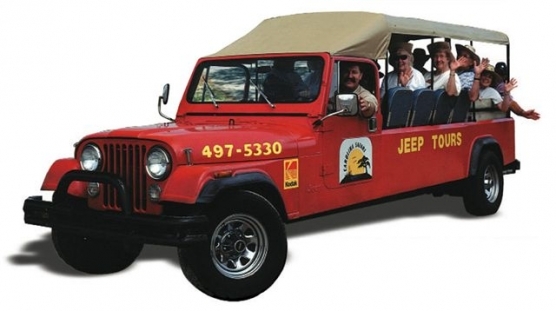 At Carolina Safari Jeep Tours you can leave the commercial district behind, as you experience rich, natural beauty and discover the amazing lowcountry history including the legendary lands. Drive down an oak alley to a former plantation home site; see slave cabins, actual rice fields planted 300 years ago, and barrier island summer homes on “the oldest resort in America.” Learn about the fascinating African Gullah culture. Get wild with wildlife like alligators and different bird species along the Atlantic Flyway. Visit a “haunted,” moss-shrouded graveyard on the banks of the Waccamaw River and check out the haints, haunts, and plat-eyes and boo daddies. Swing by the pirate swashes where the buccaneers used to roam and gain knowledge of the salt marsh and other ecosystems. Your entertaining, world-class pathfinder guides stay with you from departure throughout the entire trip. They show you the sights and share the history, stories and secrets.